Members of the society on Thursday submitted a memorandum to chief minister Mamata Banerjee here as she headed for Darjeeling from Siliguri. The CM halted for a brief while at the Kurseong Tourist Lodge and again proceeded towards Darjeeling, it is learnt. 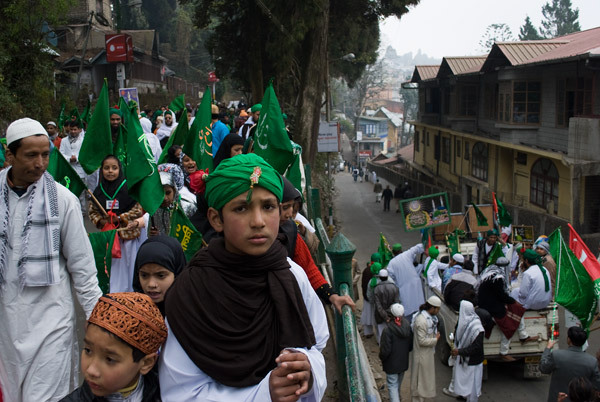 Talking to reporters, a representative of the Paharia Muslim Welfare Society, Kurseong, Arif Khan, said they had submitted memorandums to officials concerned over various issues related to the Muslim community in the hills earlier too. "Keeping in mind the various problems faced by the Muslim community in Darjeeling Hills, we have been demanding a separate development board for the all round development of the hill Muslim community," Khan said. He claimed that the Paharia Muslim community is a community of people "who look like tribals, while they have short height, chinky eyes and are socially and economically backward." He added that most of the people belonging to this community are landless, jobless, homeless labourers and butchers. According to Khan, the community has been living in Darjeeling hills for more than 200 years, but most of them are still landless. "As such, we have demanded a separate development board for the all-round development of the hill Muslim community, for which, even the Muslim community from the Terai and the Dooars areas have supported us," he said. In the memorandum the community has also demanded residential plots of land to landless Paharia Muslims, incorporating the Paharia Muslims in the OBC 'category A', establishment of a government Madrasa affiliated to the ICSE Board in the Darjeeling hills, recruitment of civic police, home guards from their community, relaxation in height for recruitment in West Bengal/ Kolkata Police, equality in Gitanjali and EWS schemes, construction of toilets under the Swach Bharat Abhiyan for needy Muslim people and reservation in medical colleges. The Paharia Muslim Welfare Society on Thursday demanded a separate development board named the 'Paharia Muslim Development Board.' Members of the society on Thursday submitted a memorandum to chief minister Mamata Banerjee here as she headed for Darjeeling from Siliguri.